Provides comfort like stepping on air, enhances circulation, greater employee comfort and less fatigue. Provides a comfort factor like stepping on air. 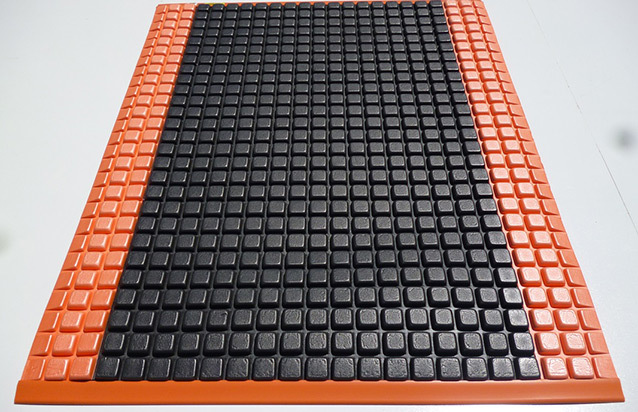 With the unique rubber Bubble system on the surface, this enhances circulation, resulting in greater employee comfort with less fatigue throughout the day. 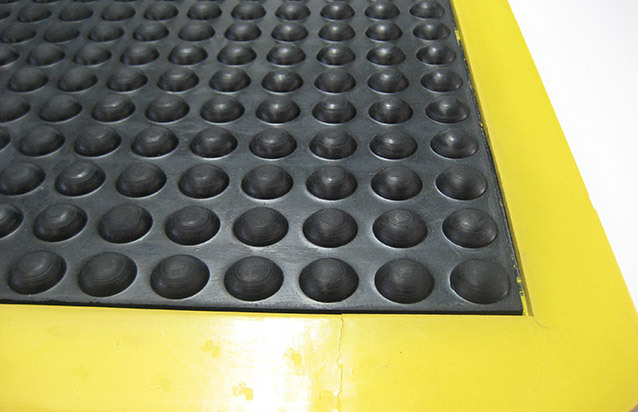 The Bubble mat is ideal for any individual workstation or checkout counter as well as being extensively used in industrial sites, printing and factory workshops. 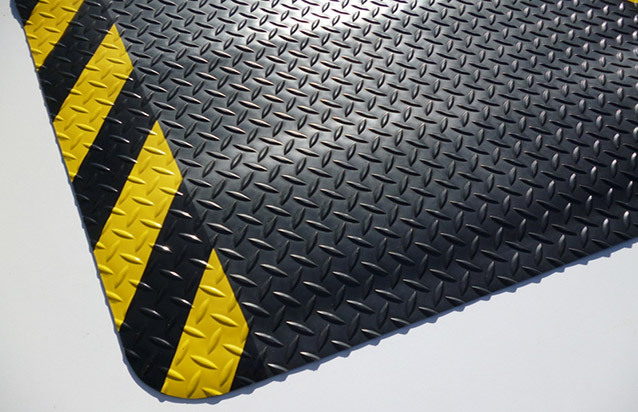 The bubble mat comes with yellow or black borders on all sides and can be used is any dry area, in fact the Bubble mat is probably one of our biggest selling anti fatigue mats.